[19 October 2015] On the eve of the Chinese President’s State Visit, a group of MPs and Lords have sent an open letter to David Cameron asking him to “express British values” and “send a clear and public message” to Xi Jinping that China’s “violations of basic human rights are unacceptable”. Sixteen parliamentarians co-signed the letter written by Fabian Hamilton MP. 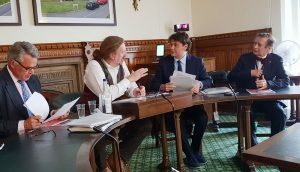 Tibet Society approached Fabian Hamilton MP with the idea of a joint letter to the Prime Minister and helped to gather co-signatories. Fabian Hamilton is Chair of the All Party Parliamentary Group for Tibet, of which Tibet Society is the Secretariat. The letter can be read in full below. Click here to view a PDF of the letter. 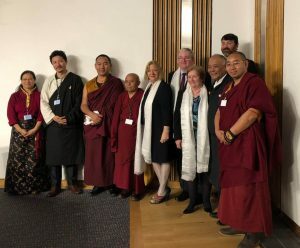 Tibet Society also co-signed a letter authored by Amnesty International calling on David Cameron to address “grave concerns” over the detention of human rights lawyers, repression of ethnic minorities and a crackdown on freedom of worship. The letter was published in The Independent today. In the coming days you have an unprecedented opportunity to express British values to the President of the People’s Republic of China. No doubt, during the State Visit, trade and investment between UK and China will be vaunted as crucial to the economies and well-being of both countries. However, just as crucial is the upholding of the principles which have helped to form our modern democracy, including the universality of human rights, civil liberties and rule of law. This year, the UK parliament has proudly promoted the 800th anniversary of the Magna Carta, the document which has underpinned not only our own freedom and democracy, but that of many other countries. Yet, there remain many people in the world who live under repressive regimes who are silenced and punished for aspiring to the rights and liberties we now take for granted. Xi Jinping is the leader of a country with unarguably one of the worst human rights records in the world. Certain regions of the People’s Republic of China, such as Tibet and Xinjiang, are considered to be among the most repressed, akin to Syria or North Korea. Prime Minister, you have an opportunity to send a clear and public message to the Chinese government: their violations of basic human rights are unacceptable; their control and regulation of civil society intolerable; and their punishment of peaceful dissent inexcusable. 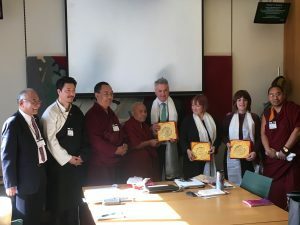 The Chinese government must be urged to release all prisoners of conscience including Nobel Peace Prize winner Liu Xiaobo and Uyghur scholar Ilham Tohti and end its arcane practices of torture and maltreatment of political prisoners, which have led to numerous deaths including – in July – that of respected Tibetan monk Tenzin Delek Rinpoche. Prime Minister, we urge you to stand up for the values and principles which our society has fought for and defended for centuries. Those who continue to fight for and defend their own human rights and freedoms in other countries deserve our support.